If you need assistance for a destination not listed here or more information please email me. Amore Fine Art Photography Award winning style of photography is a breathtaking blend of beauty, romance and simplicity. We take a photo-journalistic approach to our local, destination and international weddings. With over 15 years of photographing weddings our images have appeared in such publications as Grace Ormond,Destination Wedding Magazine, The Knot,and the television show "Get Married" on Lifetime. Please call 916-475-5848 or Send an Email or Please visit our Website. By Veronica Cole - Don't think of us as just destination wedding planners, we plan weddings in any destination. 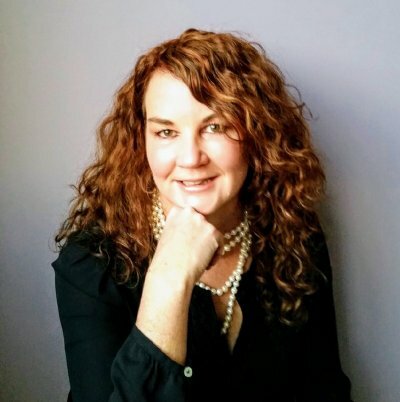 By Veronica Cole combines professional knowledge with modern style to offer full service planning, virtual planning, wedding planning workshops, and proudly share advice through our blogs and web page. We’re here to help you design your wedding with confidence. Contact us at 631-353-0173 or E-Mail. Please visit us online at KeepCalmAndWedOn.com. JFM Travel -We save you time, money and countless hours of researching your honeymoon or destination wedding online. Our experience and commitment to customer satisfaction has earned us a solid reputation in the travel industry. We create each travel experience custom designed to your specifications. Please call 909-210-7902 or 844-536-8728 or Send an Email or Please visit our Website. Regal Travel Services - Call Regal Travel for your destination wedding and honeymoon package needs. nbsp;You are our number one priority. Scarlet Heart Weddings - Unique heartfelt weddings specially created for you to celebrate your love and beginning of your new life together. Professional and personal. Gold Hill Retreat - Located in the heart of the Motherlode, a peaceful and private ranch setting. Hemispheres Travel - Honeymoons and destination weddings . Bachelor/bachelorette vacations. Kirkwood Mountain Resort - Is a natural, undisturbed setting is perfect for your wedding!nbsp; Alpine lakes, snowcapped peaks and fields of wild flowers furnish the backdrop for a truly spectacular ceremony.nbsp; Services provided include reception facilities, catering, lodging, along with a variety of recreation activities. For an appointment call 209-258-7377 or Email. Visit our Web Site. The Park at Hanford Courte - Outdoor weddings and receptions in a beautifully landscaped garden setting with terraced lawns, oak trees and a spectacular waterfall. 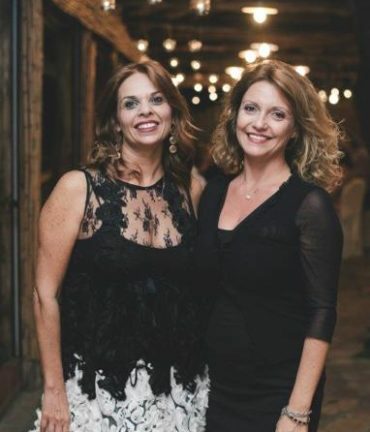 Divine Diva Events Inc. - Divine Diva Events represents elegance, sophistication and style. 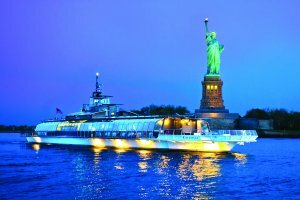 Specializing in wedding, event, and destination planning designed with unique ideas that tailor attention towards a perfectly flawless event. 310-867-0109 email Please visit Divine Diva Events Inc.
Heather Hanson Weddings By Heathernbsp; Full service consultant. 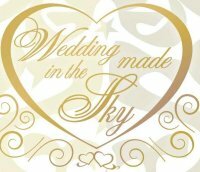 Weddings tailor made to fit any budget. We carry a full line of invitations and accessories. For information (Florida) 407-498-4939 or Email or visit my web page! Advantages of booking with Outstanding Destinations is the one on one uninterrupted appointment with a specialist who will get to know you and who will take great pleasure in making a custom made arrangement based on your passions and interest. Call Jenna at 561-8276425 or Email Me Do Visit My Website. Dream-Maker, The - Perfection Beyond Imagination! Waters edge and scenic Mt. top ceremonies. Cherrywood Waterfall Chapel. Full service wedding specialists. Exquisite accommodations. Estates. For assistance in this scenic wonderland call 775-831-6419 Email or Visit our Web Page. Weddings With Elan - We specialize in inter-culturral wedding ceremonies; work with persons with special needs. We offer classes in budgeting and directing. For assistance call 615-298-2578 Email or Visit our Web Page For the latest books. 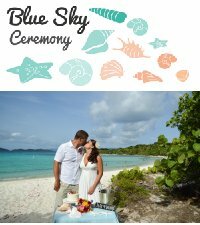 Blue Sky Ceremony is the premier wedding planning company in the Virgin Islands. 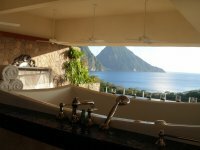 Our experienced team offers planning for couples and large groups at some of the most beautiful locations in the Caribbean. 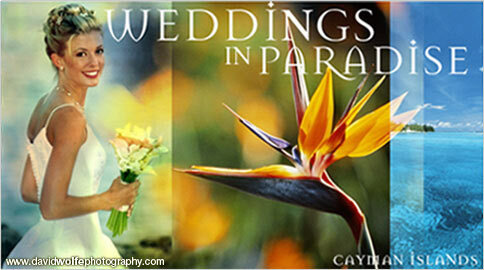 See how easy and affordable a destination wedding in paradise can be! We also perform ceremonies and only contract with a small group of experienced officiants. Each officiant has conducted hundreds of weddings and will work with you to create a traditional or contemporary wedding ceremony. Contact us at 340-642-0195 or send us an Email Please visit our Website form more information. Destination Bride Inc -nbsp; Our team is available to assist you where you need it. 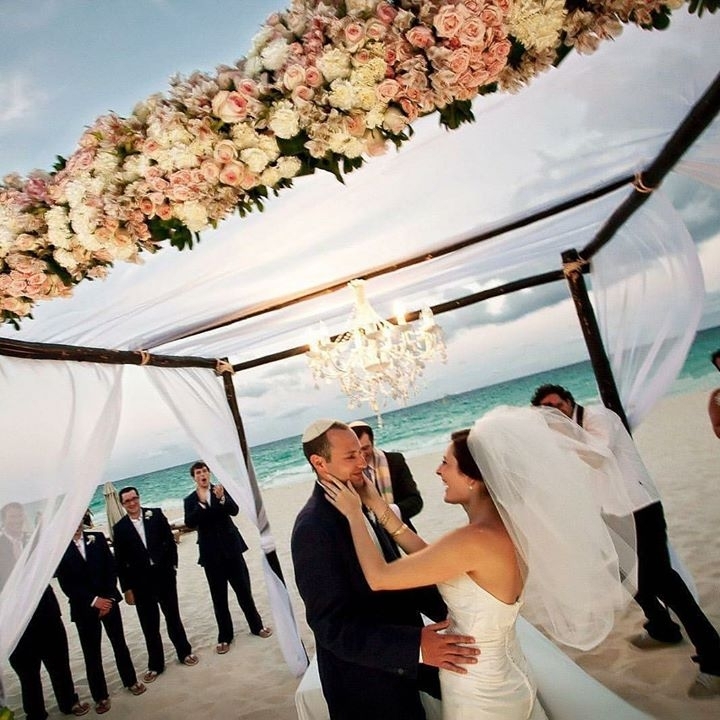 Wonderful Weddings Worldwide - Professional Wedding Coordinators. Traditional, theme, and destination weddings. 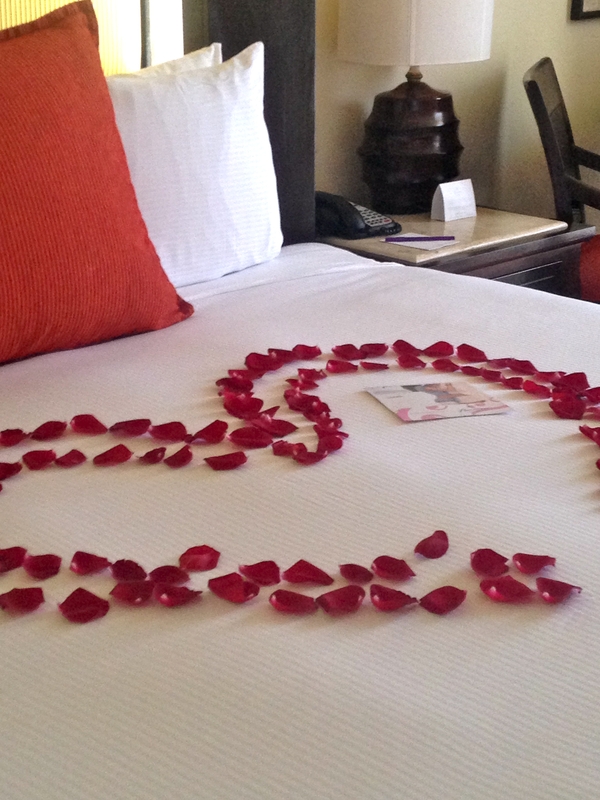 Creative and custom honeymoons. Dedicated to details. Quality service at affordable prices. Bali Weddings International - If you would like to be married in Bali, one of the most mystical and beautiful places in the world, and would like to take advantage of our experience and superior services please call 62-361-287516 or 62.-361.7442084 orr email that we may send you detailed information at once. For quicker service, visit our Web Page. 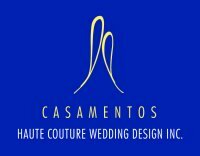 Weddings amp; Dreams - Destination wedding specialists to Victorian and Vancouver Island. Full consultation and coordination service. Sophisticated decor. Amazing locations. 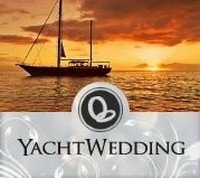 Awesome Caribbean Weddings - St. Lucia's original, most experienced, reliable and creative wedding planners - making dreams come true since 1999 Premier wedding planners creating unique weddings for each couple. Stunning private locations includes Beach, Waterfall, Cliff, Yacht, Estate House....Just you two or bring all your family and friends, it will be AWESOME! Dreamy Weddings amp; Tours - Caters to your every need. 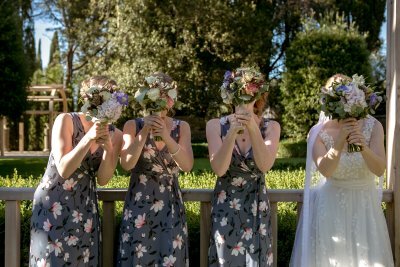 We can prearrange everything from accommodations, ceremony, reception, food, flowers, music, make up artist, hairdressing to photographer. 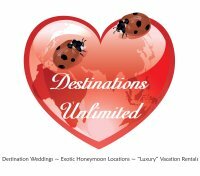 Michelle's Destinations Unlimited - I am your honeymoon and Caribbean Destination Wedding Specialist. Raffles Resort Canouan Island - Complete with a 17th century church and wedding reception venues of 2 to 250 guests. nbsp;This luxury 5 star Resort in the Grenadines offer 156 luxury accommodations, four gourmet restaurants, four bars, RafflesAmrita spa, 18-hole golf course, casino, two beaches, amp; tennis courts. 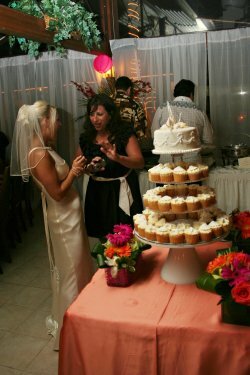 MC Coordinators - Event Planning in Puerto Rico, specializing on wedding consulting and coordination services. St Kitts Marriott - Nestled between secluded coves and tropical rain forests, the St. Kitts Marriott Resort amp; The Royal Beach Casino captures the many moods of one of the most relaxing, romantic and playful Caribbean islands. Stonehaven Villas - Scattered throughout ten acres of gentle hill side, The Villas at Stonehaven and Pavilion clubhouse is perfect for your destination. PragueWeddings.Com - Prague- Weddings with Old World Elegance. Why not enjoy the glimpse of Old Europe? Why not Prague and Bohemian castles for couples from around the world. White Prague Wedding Agency is a specialized wedding planner of destination weddings. Based in the heart of Europe, in one of the most romantic cities, makes Prague a very unique and attractive wedding destination. 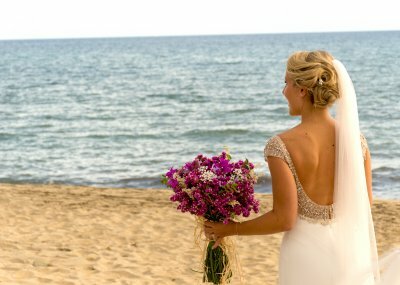 A destination wedding planning company in Greece. We organize weddings in Greece for Civil, Greek Orthodox, Symbolic, Catholic, Jewish and Hindu weddings. Our wedding packages are custom made or preset to fit each couple’s needs. Our weddings are available in breathtaking locations all over Greece, serving mainly Santorini, Mykonos, Athens, castle of Monemvasia, Skopelos, Skiathos, Lesvos and Chios islands. 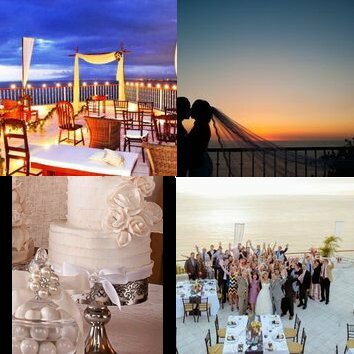 Upon request we can plan and organize your wedding everywhere in Greece. Marryme’s in Greece main aim is to make your wedding as simple as possible and on the other hand to organize the wedding of your dreams. Wedding in Greece is a high quality wedding event planning company based in Athens, Greece. We are more than happy to help you at any stage of your wedding. We can provide you with full wedding planning services, partial planning, day-of coordinator, documents legalization and of course, flowers decoration, makeup artists, wedding photography, catering services, etc. Santorini, Athens, Mykonos, Crete, Rhodes, Chalkidiki and other hidden paradise places, can be your dream destination. Live your dream in Greece. 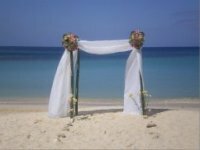 Have your Wedding in Greece! For additional details and availability call +30 210 6015330. Do Email Me your questions. 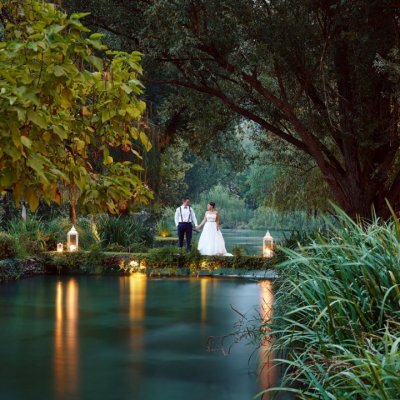 For more details Visit Oue Wedding in Greece website. 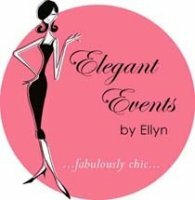 Wedding Planner and Events Organiser - Professional based in Ireland. Together we can organise a special wedding day/or event in Ireland for you to remember the rest of your life'. Whatever your destination, budget and special requests, our professional team is here to help. 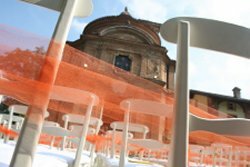 We plan weddings in some of Italy’s most spectacular locations. 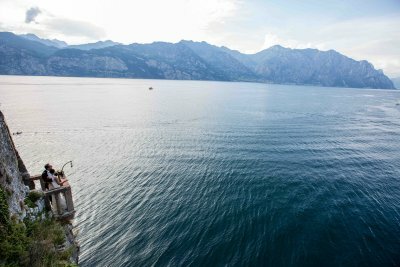 We are based in Tuscany and Lake Garda. 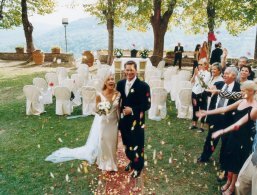 Elisa Weddings Italy Luxury wedding planner and events to organize your premier bespoke destination wedding in Italy, in the most beautiful Italian locations. Our expert wedding planner team provides exclusive services, to guarantee you an unforgettable wedding, that always exceed your expectations and your desires. Contact: Elisa Prati - +39 3396351420 - Email. 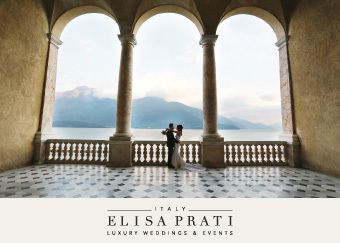 Please visit our website: www.elisapratiweddingitaly.com. Ischia Wedding is leader in the arrangement of civil, religious and symbolic weddings in the amazing island of Ischia in the heart of the Mediterranean Sea by the Amalfi Coast in unforgettable venues: Medieval Castles, Luxury Villas, Unique Hotels, Ancient Monasteries by the sea, incomparable beaches and much more. Visit our website and contact us for more information info@IschiaWedding.com. Italy Bride and Groom Weddings - Are you in love with Italy as much as I am? Come and visit some stunning sunset venues on private beaches, a gorgeous secret garden, private luxury terraces, historic castles, elegant palazzo’s and villa’s, traditional hilltop and seaside churches and much, much more, all with beautiful breath taking views for your wedding day. 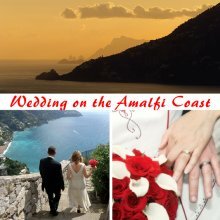 With my experience, knowledge and expertise I will help you to create an amazing wedding abroad here in Italy. 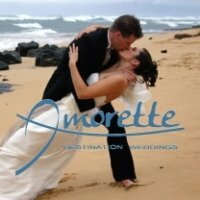 On my website, facebook page and instagram page are a range of unique venues with lots of beautiful memories of real life weddings. I’m sure this helps to inspire you and create your own perfect wedding abroad in Italy so please contact me to begin this wonderful adventure. Call (+44 0333) 2244686 or Email. La Calla Events - Specialized in arraging weddings in the Amalfi Coast, La Calla provides a full assistance in planning and coordinating all the services required to create a perfect event, for groups of any size...even for just two and guide each client to live a memorable experience in the Amalfi Coast. Contact us at +39-089-873551 or Email. Please visit our Website. 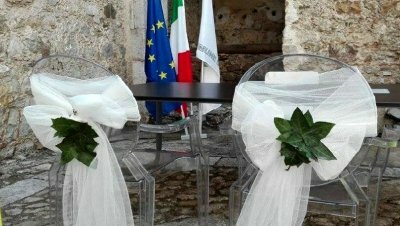 Sintonia d'Eventi is annbsp;Italiannbsp;Wedding Design amp; Management company which creates stylish and unique weddings and civil partnerships for couples who wish to get married in Lake Garda, Verona andnbsp;Venice. Enchantingnbsp;ancientnbsp;towns, beautiful countryside,nbsp;excellent food andnbsp;longnbsp;wine traditions, unique settings, sunny days, romantic landscapes... we can manage absolutely every aspect of any style of wedding to make your Day a wonderful, well organised and memorable occasionnbsp;for you... and your guests. 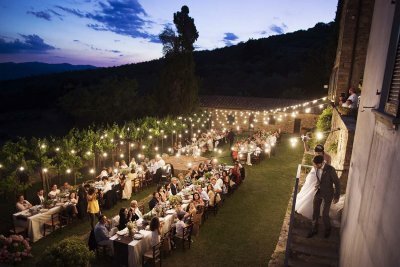 Tuscan Party is a wedding planning company that proposes high quality services tailor-made on your requests for unforgettable events in beautiful Tuscany. We are happy to support you with our Italian-style touch for authentic destination weddings! Let your heart fly to Italy and experience unique emotions! Contact us at +39 3494642567 or send us an Email. Please visit our website: www.TuscanParty.com. 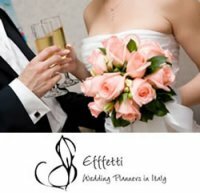 WeddingItaly.com by Punto di Fuga S.A.S nbsp;Expert wedding planners: custom created packages, attention to details, excellent knowledge of travel business, personal and professional interaction with clients is their forte. Paperwork assistance is offered with civil or religious ceremonies. 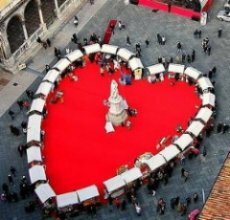 WeddingItaly has been feature on TIME MAGAZINE, as one of the leading companies arranging over 200 successful weddings every year for couples from all over the world! 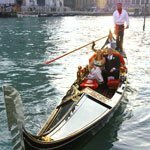 Weddings In Italy by Regency - Weddings In Italy by Regency has been planning legal, religious and symbolic weddings since 1987. It has arranged more than 8000 weddings! 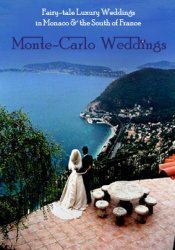 Regency arranges weddings, reception and honeymoons in the most beautiful locations all throughout Italy. Regency has been featured in a Time Magazine article as the most important wedding planners for foreigners in Italy. 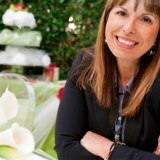 It has been the only Italian wedding planner agency to be featured in a CNN.com article about destination weddings. Good Hope Villas - A 15 bedroom set on 2000 acres with a river, horses, art studios, and unbelievable views, exclusively your to celebrate. 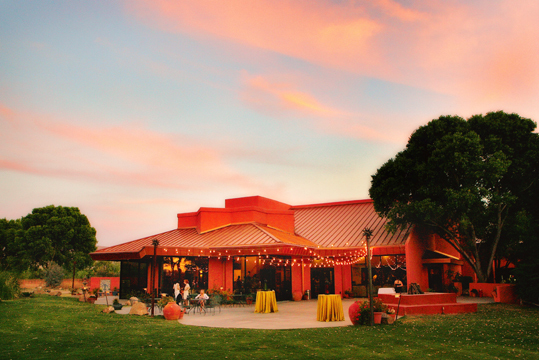 Round Hill - A perfect wedding starts with an ideal location. One that promotes love, support, friendship and camaraderie for you, your loved ones and your guests. 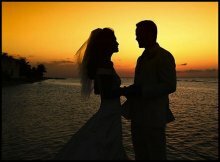 Mauritius Wedding Planner - We are a professional wedding planner company based on the beautiful island of Mauritius. 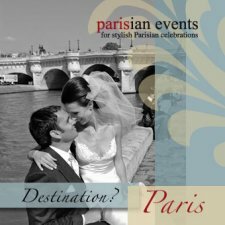 Golden Star Events - We specilize in destination weddings and wedding packages in Paris, French Riveria, Monaco amp; Barcelona. For information and assistance call 377-97-70-8434 Email Visit our web page. 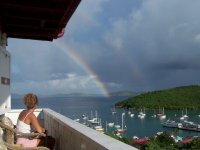 Perfect Weddings Of St. Thomas - Specializing in Destination Weddings. nbsp;Providing personalized wedding consultation for brides/grooms who wish to be married in St. Thomas/St. John U.S.V.I.